Get your friends a baby bobblehead after welcoming a new child to the family. 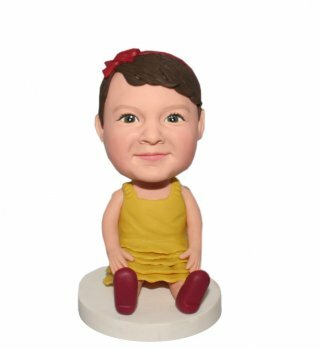 New parents will love to have their baby celebrated with a personalized doll, whether it is right after birth, after their first steps, or on their first birthday. 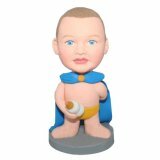 You can customize the bobblehead with rattles, pacifiers, or bottles and upload a picture of the baby. Further personalize it with the date of birth on the base!